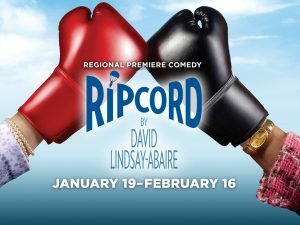 Regional Premiere Comedy, Ripcord, takes the stage at Ensemble Theatre (1127 Vine St. Cincinnati) this Saturday Jan 19 at 7 p.m. and will continue its run through Saturday Feb 16. A sunny room on an upper floor is prime real estate at Bristol Senior Living Facility, so when cantankerous Abby is forced to share her quarters with happy-go-lucky Marilyn, she has no choice but to get rid of the infuriatingly chipper woman … by any means necessary. A seemingly harmless bet quickly escalates into a high-flying, dangerous game. This soaring new comedy tugs at our heartstrings as the women discover what is truly worth fighting for. To view show times and purchase tickets, visit https://www.ensemblecincinnati.org/shows/ripcord.